This weekend was the Sacramento Perfect Wedding Guide Bridal Show. It was my second time attending the show and I loved it! A few things were the same as last year, one being my handsome helper husband, but I also made some upgrades to my booth and marketing materials, along with beautiful photos and experience of the weddings I had the honor of helping plan in 2018! I also had the support and advice of an amazing group of industry boss ladies, but that is another post. I thought that maybe after meeting many couples who aren’t really seeking a wedding planner, now would be a good time to let you know something crazy … I don’t want to plan your wedding, unless you really want me to. Ultimately, I want to help you find the best vendors, develop a timeline and relieve you of that giant planning binder. For the couple who doesn’t need a full planning package – you may still want to consider day of coordination. You want to plan your own wedding – I get that. I was chatting with a girlfriend yesterday who stopped by and even though she knows what I do, she said “Oh, I didn’t realize THAT’S what you do.” She said she didn’t hire a planner because between her eight bridesmaids, all her female cousins, aunties, grandma, great-grandma, mom, mother-in-law, future sister-in-law AND girlfriends, she was pretty much set on the planning end. Not to mention all of the industry connections she had (big Italian Catholic family – go figure). In talking though there were so many things she had to handle the day of and she wished that she had hired someone to take care of all the little things the day of. 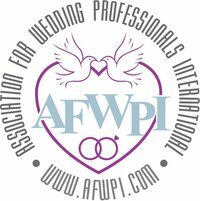 As a wedding planner I certainly don’t want to take away any special memories or rites of passage from you and the special ladies in your tribe, I just want to be there to help you along the way and if you need to know who makes the best balloon arches or find a cute mobile dessert bar, I can do that! If you are planning your big day with your gal pals and need day of coordination, I will pass you a champagne flute while you hand me your binder, because honestly, I don’t want to plan your wedding unless you want me to!